St Mary Bourne is an ancient settlement, and there have been more than 20 historic finds classified between ‘prehistoric’ and ‘Roman’ by English Heritage within two kilometres of the centre of the village. There is no reference to ‘St Mary Bourne’ as such in early records, but its history lies hidden in plain sight in documents describing the manor of Hurstbourne Priors, which included Stoke, Binley, Week, Egbury and [St Mary] Bourne. Some time before AD 790 King Beorhtric, King of Wessex from 786 to 802, exchanged the manor of Hurstbourne Priors for land in the Meon Valley. It then passed to the monks at Abingdon, from whom it was again acquired by the Wessex kings, first Egbert (802-839) and thence to King Alfred, who granted it to the monks of Winchester, who are still described as the owners in the Domesday Survey over 200 years later and remained so until the Dissolution of the Monasteries (1536). In 1558 the manor was bought by the Oxenbridge family, who sold to the Wallops (Earls of Portsmouth) a century later. 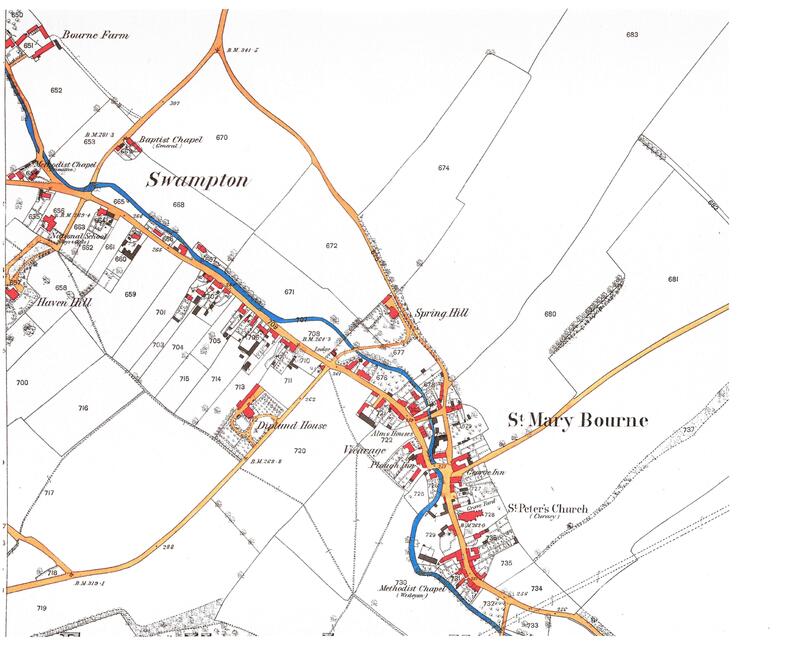 The relationship between Hurstbourne Priors the settlement (as opposed to the manor) and St Mary Bourne is slightly more complicated than at first might appear. For example, St Mary Bourne is about twice the size of Hurstbourne Priors. Most of the land in St Mary Bourne was put to arable use, but in Hurstbourne Priors this accounted for just over a quarter. 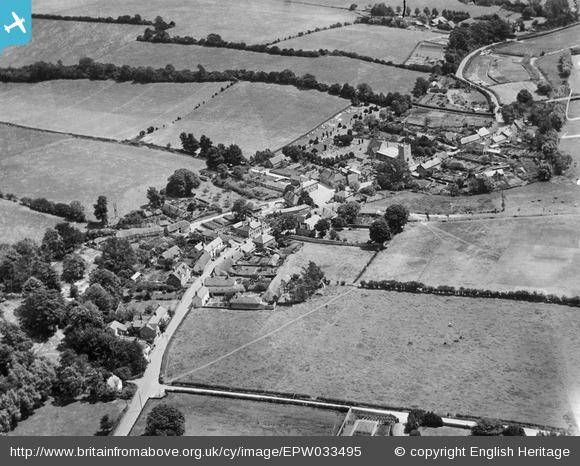 A slightly higher proportion of land was also used for woodland in St Mary Bourne. On the other hand, the area of grassland in St Mary Bourne was proportionately much lower than it was in Hurstbourne Priors. The clear inference is that Hurstbourne Priors, the seat of the lords of the manor, needed rolling acres of parkland (ie grass). The second, revealing, inferences are to be drawn from the relative dimensions of the churches in each village. St Mary Bourne was a dependent chapelry of Hurstbourne Priors until the last century. One might expect, therefore, the church to be smaller than that of Hurstbourne Priors, but this is not the case. The circumstances in which a marble Tournai font arrived in the church at St Mary Bourne remain shrouded in mystery, but the question remains why the font was not placed in the mother church at Hurstbourne Priors. It would seem that St Mary Bourne has always been the bread basket and economic hub of the manor, the New York or Sydney to Hurstbourne Priors’ Washington or Canberra. To this day, the identity of St Mary Bourne is to some extent the sum of its parts: inhabitants retain some individual loyalty to these divisions, at least theoretically . However, one of the unifying forces of modern life is the concentration of amenities: the shop, village centre, main pub, doctor’s surgery and church are all located within a few hundred yards of each other in the centre of St Mary Bourne.